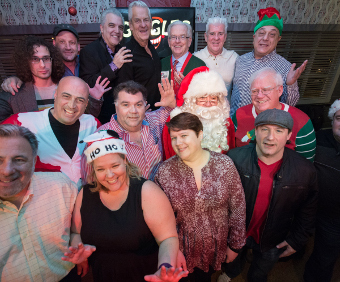 Join Dave Russo, Boston’s own Lenny Clarke and a collection of comedy standouts for a night of pizza and laughter to benefit Globe Santa. For tickets and more information please visit globesanta.comg/giggles. 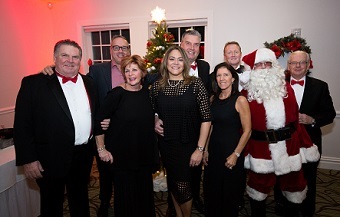 An evening of dancing, celebrating, and giving for a fantastic cause…helping families in need! For more information please visit salemsnowball.com. Don’t miss this 24-hour comedy marathon at The Improv Asylum. For tickets and more information please visit https://bit.ly/2PW0JB1. Our 2019 Boston Marathon runners will be training hard while raising funds for Globe Santa. 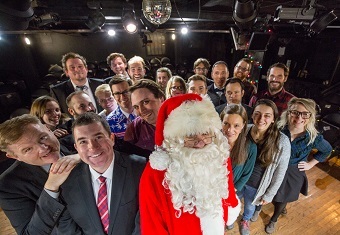 Help the team cross the finish line by visiting crowdrise.com/globesanta2019. Your gift helps us deliver joy each holiday season.